Some of the posts below are taken from the currently-under-maintenance Nendonesia forum as well as the project’s Facebook page. The forum post was originally only available in Bahasa Indonesia, but it was translated into English by cybeast. 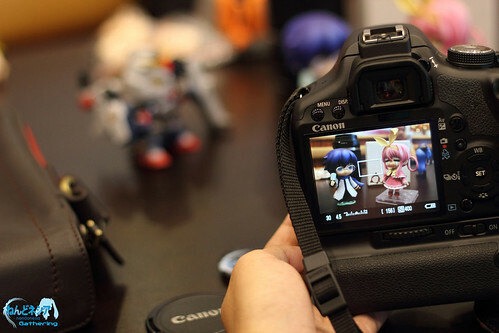 Before I joined on a certain famous Indonesian forum, Nendoroid collectors only discuss with each other and rarely take photos of their Nendoroid, because they were afraid to break their Nendoroid when they took them outside. However, it had changed ever since I came to that forum, as more and more folks become accustomed to take their Nendoroid for outdoor photo sessions, even though they know the risk of breaking their Nendoroids’ parts. I do have many photos that has not been published yet, but unfortunately, almost half of them were lost due to my broken flashdisk which I used as a photos backup storage. Nendonesia Photo Contests also become one of the cause for this project. There were more than 50 contestants took part in the photocon – which is quite big for this scale – and those contests were, perhaps, the only photo contests ever held for action figure on internet forum in Indonesia. Another important factor that pushed me to suggest this project is … well, coming from FIGMANIA‘s Facebook page. 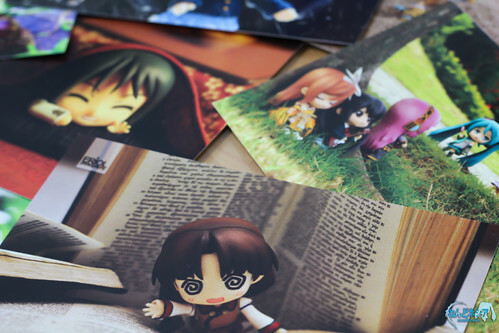 I unintentionally saw a female member’s photo there, which shows her figma collection photo book that she made herself. The photobook will be published as an e-book (PDF) as well as a Print on Demand service on Lulu.com. The best moment for outdoor photo-shoots is before 10AM, or 3AM until sun sets. It is not recommended to take photos around 11AM – 1PM, as the sun is directly above your head, thus Nendoroid’s face will become dark. You can submit photo(s) of more than one Nendoroid, but make sure that at least one photo of the Nendoroid is using the original parts and accessories (no swapping with other Nendoroids’ parts). The recommended photo resolution is 10MP (3648 x 2736). However, if your camera resolution is lower than 10MP, then submit the best resolution your camera can produce. Please attach your logo/watermark as a separate file – preferably large resolution PNG. Do not apply it on your photo(s). Theme: The wandering fairy – think of your Nendoroid as a fairy who goes around in their own adventure. Technique: Angle, interesting photo spots, etc. Random stuff: The judge might find interesting or unique (a.k.a out of the box) stuff in your photo. This entry was posted in News and tagged event, nendonesia, photobook, wandering fay. I love this idea! Hopefully I can send something in. Hope you don’t mind me asking a few questions? 1. 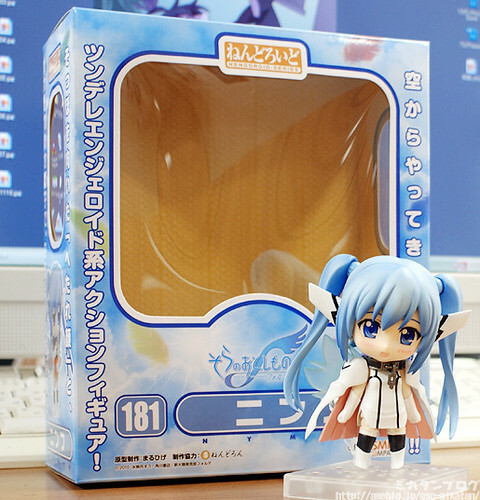 Are photos of Nendoroid Petit allowed, or is this Nendoroid only? 2. Would it be alright to submit previously taken photos (that have been submitted elsewhere –mfc, flickr), or must it be newly taken photos? 1. Yes, Nendoroid Petite photos are allowed. 2. The project encourages new photos, but it is OK to submit previously taken photos, as long as you own the copyright/ownership of the photos. Alright then, if I have a free time this weekend I’ll try to shoot something. Thanks again! Will our names/nicknames be listed for credit (unless one wants to be anonymous)? In addition to that, I would like to suggest that we are allowed to submit our site/blog URLs to let members of the community seek each other out. Up to how many photos are we allowed to submit? Not aiming for the prizes, I just want to contribute. That, and I also have a ton of photos. It would be really hard to just choose 1 or 2. As far as I know, your name/nickname will be displayed just below your photo(s). Feel free to submit your site/blog URL as well – I’ll update the post. If you got Website/blog and you want to be listed too, just send it the link along with your email when you’re submitting yours. There’s not limitation on how much photos you need to submit. But if at the end of the deadline we got an overwhelming participants, we’ll select two best photos from each participant. Do you have to create a photo title for each photo you submit? pretty wild stuff. Review sites are great for finding out what an e book is about and how others who have read the book feel about it. which are the most common foliage and rough colors, and sharpens the color of the ball against the now dull background, making it much easier to spot. site. Second thing you should know where you seo agencies stand. optimization. The SEO professionals of the necessary ideas. Anyone can play, here are some free tools but they must also be the best approach in generating free traffic to website.